Ok, so we have my friends/neighbor and co-worker, Bob, to thank again for today's blog! The other day, Bob created a movie using iMovie (a fun and easy editing software) on his new Mac, and he exported it to iDvd (a really great DVD-maker software where you can create menus with buttons and titles in fun little themes and then burn a DVD that you can play in your DVD player like a real, professional DVD!) and burned a DVD that he sent to his family and friends. "What's the problem, then?" you might ask. Certainly, this sounds like a success so far, right? 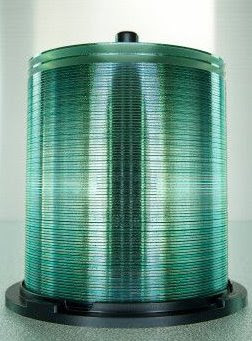 In order to copy files from a DVD (or a DATA CD, for that matter), you need to have your SOURCE FILES burned onto a DATA DVD or DATA CD. When you burn DATA on a DVD or CD, the disk acts as a storage device, not unlike a removable USB drive or...brace yourself...like an old floppy disk! (remember those?) Whatever data you burn on a DATA disk just gets plopped on there in no particular order, and because there are no other commands burned on there (i.e. that would tell the CD how to play tracks in your CD player, or that would tell the DVD how to display the fancy menu you created when you pop it into your DVD player). The grand total side-by-side comparison? That means that the AUTHORED CD, in order to make it playable in CD players (and the same would go for a DVD) used a whopping 68% of the disk space on the CD for the SAME SOURCE CONTENT that the DATA CD used only 6% of total disk space for. I hope that makes sense! Email me if you have questions about this or need clarification (geek.girl@earthlink.net), I know it's a bit confusing! 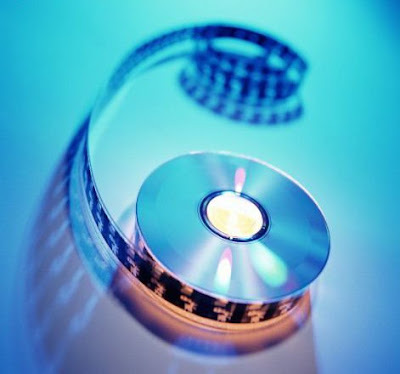 Bottom line is that you CANNOT take the source files off an AUTHORED DVD or CD, and you can fit a lot less SOURCE content on them because of the space needed to actually author them. 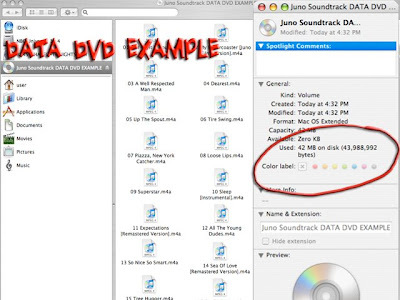 DATA DVD's or CD's, on the other hand, can fit a lot more of your source files, the data can be copied from them to any computer, but won't play your music/movies using a CD or DVD player. Make sense? Good! Ok Blog Buddies, that's enough from me today! To check out my YouTube Channel, click HERE. To check out my MySpace and become my friend, click HERE. 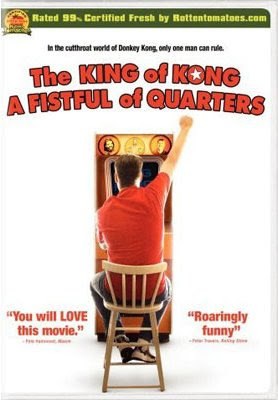 I highly recommend this if you can get it on Netflix or however you watch movies. 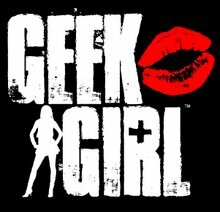 Now for some Housekeeping items: I'm in production on the "Geek Girl Goes Green" video podcast...than you all for your suggestions and emails! I've got plenty of great content and ideas for this one. If you have a last-minute idea for how to be technologically green (remember to think outside the box here! ), please send me an email or better yet, send me a VIDEO QUESTION as an attachment to geek.girl@earthlink.net and I'll make sure to include your video in my next video podcast!